Improved cook stove technology as an environmental measure to preserve biodiversity and counteract deforestation. 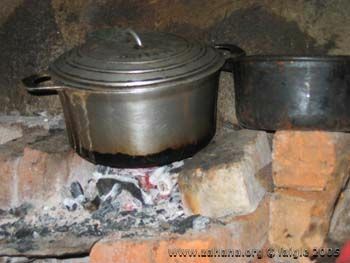 Most households in Madagascar, including the majority in the capital Antananarivo, use wood-burning cook stoves. Either charcoal or wood are the principal fuel used to prepare meals and boil water all across the island. 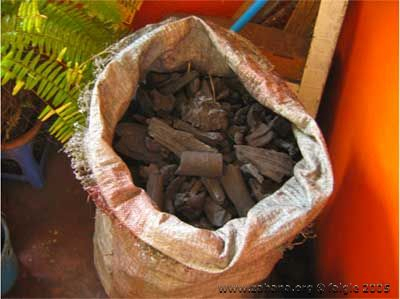 Charcoal is produced as a cottage industry in parts of the country that still have enough wood, and is shipped by truck to the metropolitan areas. 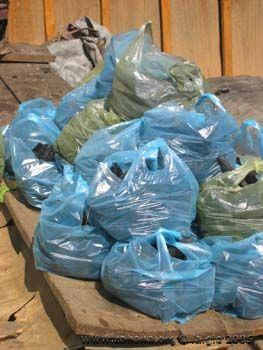 There it is re-packed into smaller single plastic bags and sold to consumers. 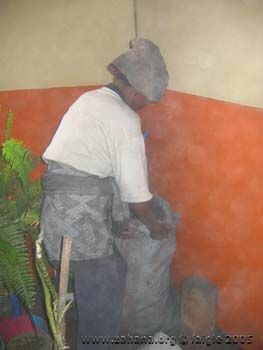 One bag of charcoal currently (Oct. 09) costs 50,000 FMG or 5 US$ (it was 35,000 FMG US$3.50 in Oct. 2005) in the capital and provides enough cooking fuel for a family of five for 15 days. While the availability, efficiency and price of different cook stove models varies greatly, many of them are highly inefficient and precious resources are wasted. Gas stoves, powered by gas bottles, are available in the cities, but the price of gas makes them unattainable for most people. 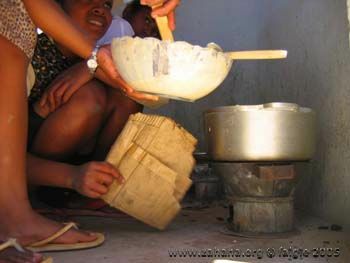 Kerosene stoves are also not in use in Madagascar. 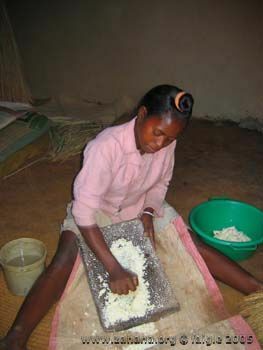 Rice is the main staple of the Malagasy diet. The time it takes to cook rice is the time unit used in the countryside, where watches are unknown and units like minutes and hours are meaningless in the daily time cycle. If available, rice will be eaten at every meal, up to three times a day. Only people who are too poor to afford it will substitute manioc or sweet potatoes for rice at mealtime, normally dinner. Rice will usually be accompanied by a watery soup called ru, which can be made from any green leafy vegetable, sometimes with dried fish, shrimp, meat or chicken added for flavoring. Ru also doubles up as one of the main sources of liquid or water in the diet. After having cooked the rice, the used cooking pot is boiled once again with the browned leftover bits of rice and water to make ranuvula or moneywater, the favorite warm drink after a meal. Making tasty Ranuvula is a fine art and its preparation a family secret. In the countryside most people only eat two meals a day, skipping a morning meal and eating for the first time in the early afternoon, rice being the bulk of the meal. From pounding the rice to free it from its husk to cooking the rice, a woman may spend up to three hours preparing a meal. She will either take the cooked rice to the field to feed the hungry family who will have been working there since 6 am, or if she participates in the farming herself, carry the cooking utensils and the rice with her and cook it somewhere near the field. 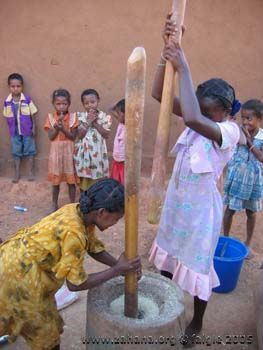 Cooking is exclusively a womans role in Madagascar, while collecting and chopping wood falls to the man. 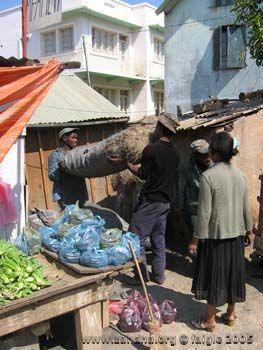 Preparing every meal in Madagascar always requires water and firewood or charcoal. 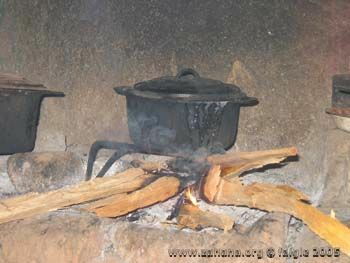 Cook stoves used in Fiadanana dont require charcoal, but burn the wood directly, (without making charcoal out of it first). 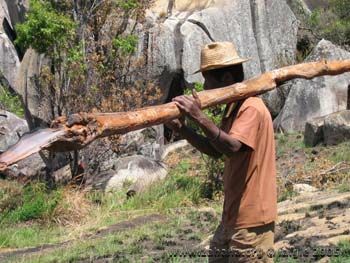 With widespread deforestation it gets increasingly difficult to gather wood and people often have to walk for kilometers to find the wood needed for their cooking and building needs. 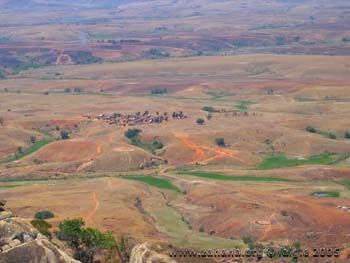 The dimension of the deforestation becomes painfully obvious looking down on Fiadanana from the mountain. According to villagers, there used to be forest all around the village during his youth, decades ago. Oral accounts from villagers in the neighboring small town of Bevato tell of lemurs that were still living in the forests surrounding the village some 30 years ago. The lemurs and other wildlife are long since gone together with the trees that sheltered them. 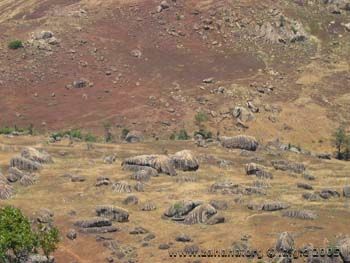 According to other oral accounts the valley near the top of Bevato Mountain was covered with forest over 40 years ago with wild Zebu (Omby baria) roaming free. 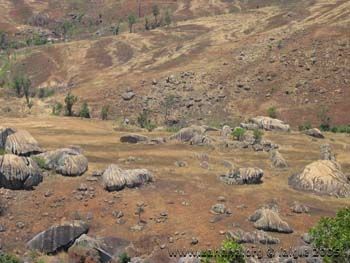 Today not a single Zebu can be seen in the vast stone landscape with a few remnant trees along the stream as sole reminders of the forest that once used to be there. 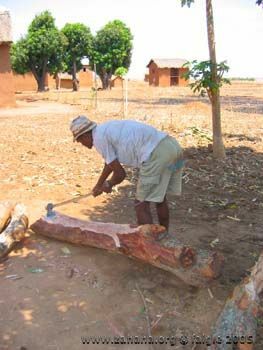 With the population of the village of Fiadanana growing steadily, the pressure on the precious resource of wood only increases. To halt or at least slow down the rate of deforestation improving cook-stove efficiency becomes a paramount necessity for the environmental education program of Zahana. 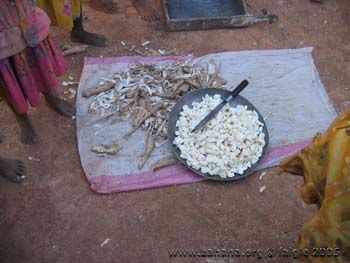 With targeted modifications in cook-stove design, meals can not only be prepared in shorter periods of time using less wood, but also the time spent on gathering wood can be reduced, therefore freeing the villagers to do other things instead of hunting for wood. 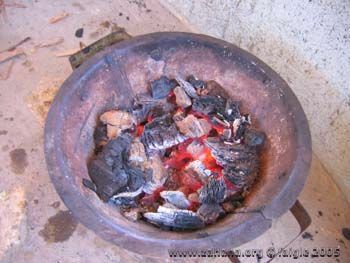 The model most widely used in Fiadanana consists of a single metal triangle or some stones on the floor where the wood is burned directly under the pot. The dedicated fire place or kitchen corner is located on the ground floor of the house, or if it has two stories on the second floor. 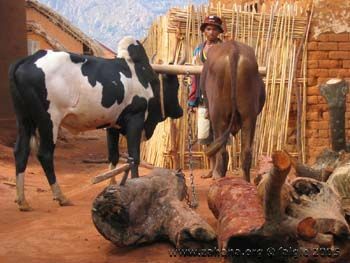 Big tree trunks are dragged as firewood into the village from quite a distance, as seen in this a pair of zebu oxen. 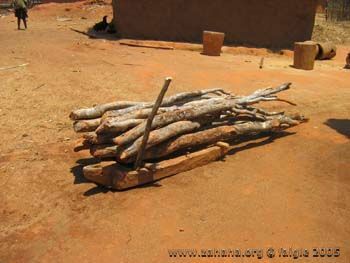 Wood is stored throughout the village and is chopped into smaller pieces as firewood. A new design, which uses wood more efficiently, is currently being developed by Zahana. 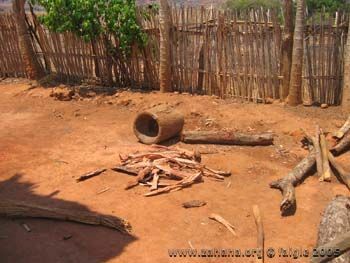 Simple but effective modifications in design will enable the villagers to use much less wood preparing meals. Simple steps will be taken, like enclosing the burners with bricks to prevent the energy of the fire from escaping, and using clay to cover the bricks to store the heat better. Other simple design modifications will not affect fuel consumption, but increase safety. Moving the burner about 80 cm above ground will enable the women to cook standing up instead of squatting and will remove the risk of severe burns for small children by putting the heat source out of their stumbling reach. The additional space gained by the design provides a storage space under the stove for wood and cooking utensils and a warm resting place for the chickens on cold winter nights. Utilizing a simple ventilation system like a hood over the stove, will reduce indoor cooking smoke and greatly improve the indoor air quality. 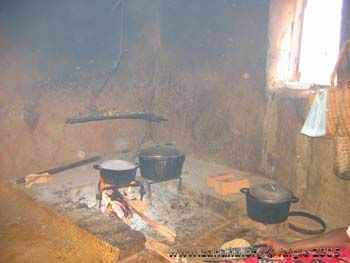 Indoor air pollution from cook stoves has been linked to the increased risk of pulmonary tract infections. 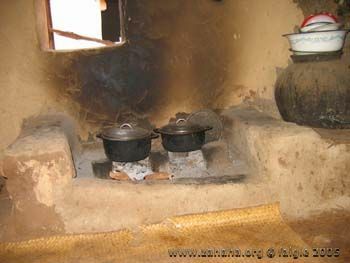 Since houses have traditionally thatched grass roofs, fires started by cook-stove sparks are the most common accidental cause for fires in villages. Containing sparks in the new design will reduce the fire hazard. Changing a decade old system of how people prepare their meals requires a tailor made educational approach, where the benefits of energy saving can be proven outweigh the skepticism against new ideas. To introduce this innovation, a cooking pavilion on the school grounds be built to serve as a demonstration project on how these new improved cook stoves can be used. Convincing two or three families to adopt this new technology will be the next step in introducing this idea to the community. It is only through example and seeing that this technology works that the villagers will consider adopting it. 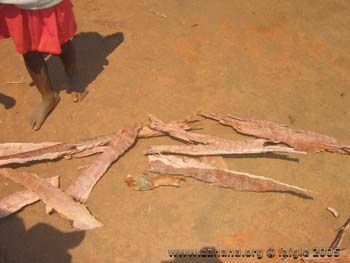 Research and experience over the last decades in cook stove improvement has shown that leap-frogging different developmental steps with new technology, by, for example, introducing solar cookers as an alternative to burning wood are often not successful, even with the best of intentions. The change is too drastic and villagers cannot cope with such an immediate and drastic cultural shift. Therefore adopting an approach where the current customs are respected and the existing practices are initially improved is more likely to produce positive results. This does by no means mean that Zahanas long-term goal of replacing wood-burning stoves with more environmentally and health friendly technologies will be ignored. 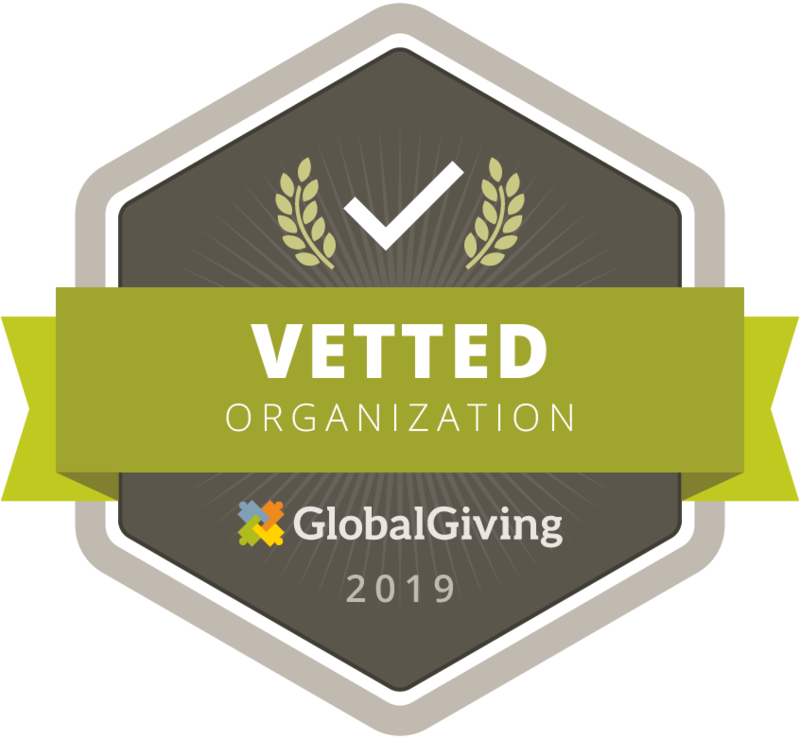 It just means that a slow approach of changing cultural practices steadily, but at a pace that the villagers can adopt on their own, promises to be more successful in the long run. Installing for example the solar water pasteurizer or solar panels to provide for the power needs of the health center will introduce the villagers hands-on to the benefits of solar energy. As a spin off effect, the concept of solar cooking, well suited for preparing rice, could be introduced by example in a few years. The monetary costs for this project are minimal, since the improved cook stoves can be built with materials that are readily available in the village. Locally made bricks, clay and manual labor are all that is needed to build this unit. This is a participatory project where the Zahana representative and the villagers will built this new cook stoves together. Most of the costs will be the travel of Zahana representatives for training sessions, plus the educational nutrition classes in the schools cooking pavilion, to implement this new technology.